Praised by Opera News for “the agility with which she negotiated her beautiful upper register”, soprano Sara Duchovnay continues to garner critical acclaim for her performances across the country. Sara recently appeared as Stella in A Streetcar Named Desire with Opera San Jose, as Zerlina in Don Giovanni with Opera Santa Barbara, as Della in David Conte’s The Gift of the Magi with Hidden Valley Opera Ensemble, and as Rosina in Paisiello’s Il barbiere di Siviglia with West Edge Opera. Upcoming engagements in the 2016-17 season include her role debut as Jemmy in Guillaume Tell with the Southern Illinois Music Festival, and the role of Blonde in Abduction from the Seraglio with Festival Opera, in the remount of a unique Star Trek-inspired production, which she originated in its world premiere in 2014 at the Southern Illinois Music Festival. Other recent performance highlights include originating the role of Dorothea in Allen Shearer’s opera Middlemarch in Spring with Composers Inc., where she was applauded by the San Francisco Chronicle for her “precision and expressive grace”; her role debuts as Zerbinetta in Ariadne auf Naxos with Pacific Opera Project, and Nannetta in Falstaff with Opera San Jose; and the role of Soprano 1 in West Edge Opera’s production of Philip Glass’s and Allen Ginsberg’s Hydrogen Jukebox. Equally at home on the concert stage, Sara has been a featured soloist in Haydn’s Harmoniemesse with the Sacramento Choral Society and Orchestra; the Sweet Prospect concert with the Nash Baroque Ensemble; and Bach’s Magnificat, Vivaldi’s Gloria, and the Mozart Requiem in Salzburg concert with the San Francisco Bach Choir. Additionally, Sara has appeared as Susanna in Le nozze di Figaro with Pacific Opera Project; as Musetta in La bohème with Hidden Valley Opera Ensemble; as Naiad in Ariadne auf Naxos with Festival Opera; in the title role in Handel’s Alcina, as Poppea in Handel’s Agrippina, Zerlina in Don Giovanni, and Madame Herz in Der Schauspieldirektor with the San Francisco Conservatory of Music; as the Fire and the Princess in L’enfant et les sortilèges, Euridice in Orpheus in the Underworld, and Valencienne in The Merry Widow at The Hartt School; as well as covered the title role in Lucia di Lammermoor with the Southern Illinois Music Festival, and the role of Nannetta in Falstaff with Opera Santa Barbara. A native of Bryn Mawr, Pennsylvania, Sara holds a Bachelor of Music degree in Vocal Performance from the Hartt School of Music and a Master of Music degree in Vocal Performance from the San Francisco Conservatory of Music. She was a previous studio artist at Opera Santa Barbara as well as an artist in residence at Opera Saratoga. Just in time for fall: Shoperatic! #FreeTheKnee Part 2: "You have better choices." Interested in getting a monthly recap of all the interesting things happening in the land of opera? Sign up to our newsletter and we'll be happy to send one out to you! Jenna is the editor and co-creator of Schmopera.com. She's a pianist and vocal coach, and her work in opera allows her to present a truly insider look at the industry and its artists. 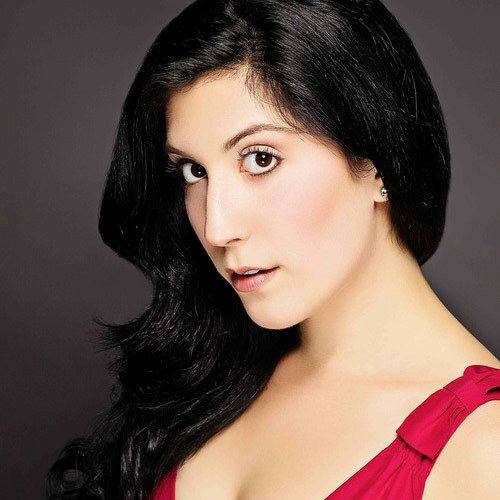 Jenna has also written for Musical Toronto and the Canadian Opera Company's Parlando blog. Unlike other sites, we're keeping Schmopera ad-free. We want to keep our site clean and our opinions our own. Support us for as little as $1.00 per month.